"Not to be missed story that is sure to be a hit." Respect and love, two most important components in any relationship. Parts of SISTERS LIKE US are equally funny and yet poignantly sad. The Bloom sisters and their mother along with several other relatives and friends set a new standard for dysfunction. There is no physical abuse; no, the Bloom women are into emotional punishment, much of it self-induced. The voices in their heads are so loud that they override any common sense and intelligence. And the Bloom women are smart but have deep-seated issues with self-worth. It's as if they can't come to terms with how really wonderful they are. Stacey and Harper Bloom live their lives by judging themselves by their mother Bunny's standards, and comments and Bunny is not one to hold her tongue. Best couple, noncouple ever Harper and Lucas. Lucas dates women in their twenties, the why is complicated. Harper at forty-two and Lucas at fifty are more contemporaries but he is one of her clients, and he has become a family friend. Heavy on the friend part since his relationship includes Becca. In some ways you can almost see the three of them as a sort of family. But you have to read SISTERS LIKE US to understand and get it. 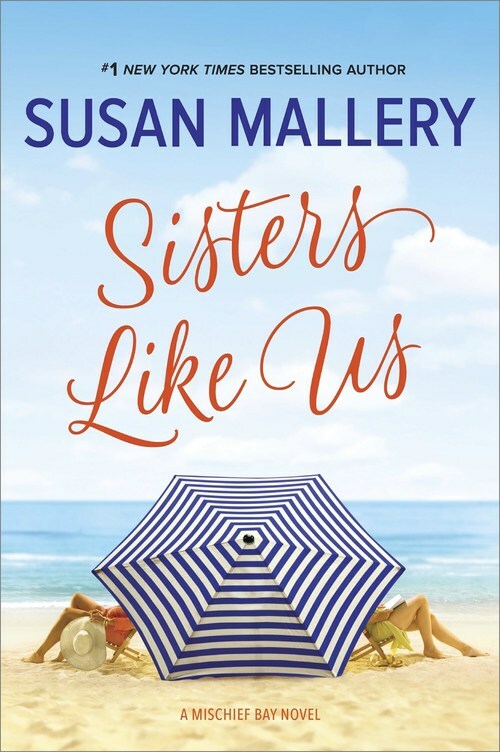 SISTERS LIKE US is vintage Susan Mallery. Just when you think you have read her best she raises the bar. SISTERS LIKE US is simply great and once again has a cast that will astound you including three rescue Dobermans. All boxes are checked by Susan Mallery in SISTERS LIKE US. Stacey a brilliant scientist with two PHD's gnawed at herself for not knowing how to sew or decorate the home for every holiday imaginable, no exaggerating here. Harper's angst that all she was good for was her home, craft and kitchen skills. Bunny was the uber stay at home mother who clicked her tongue at everything either of her daughters did that didn't suit her very high and ridiculous demands. These three were a constant conflict just waiting to happen. In SISTERS LIKE US we learn so much about the three Bloom women and probably if being honest see some of their traits in ourselves which makes for many moments of mirth, at our own expense I must add. Susan Mallery likes to make us sit and take notice of ourselves and probably identify with her characters, or at least acknowledge that they remind us of someone we know. There isn't a character in SISTERS LIKE US that you won't bond with on some level, true Susan Mallery. Her characters are real and awesome even on their worst day. I was so sorry when I came to the last page; it was like leaving good friends. This is a must-read.